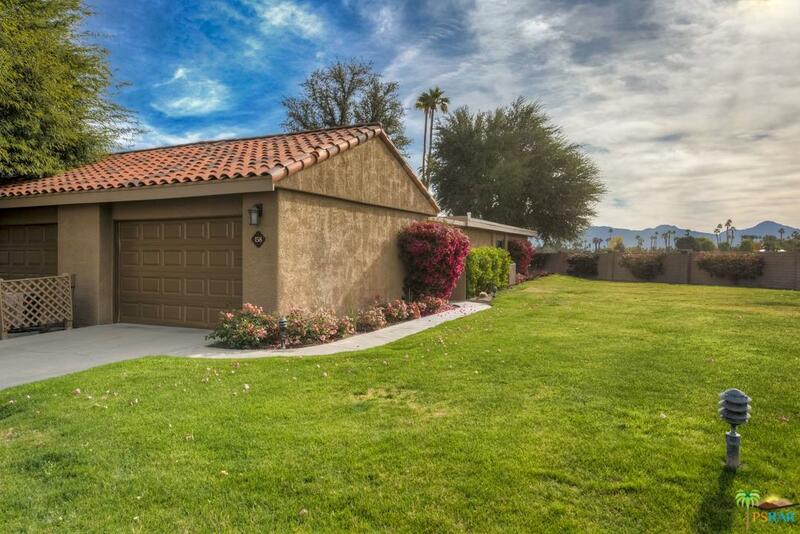 A Bright Updated Granada Plan with beautiful southwest facing mountain views and golf course views. 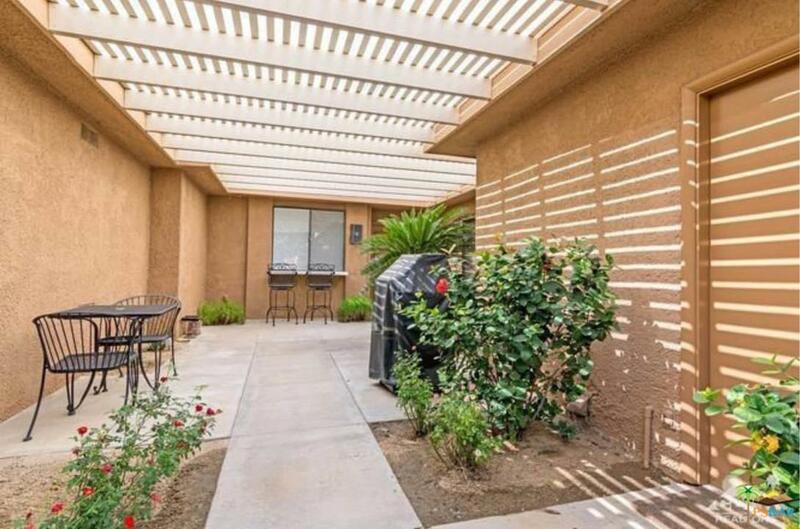 Walk thru the front gate into a peaceful courtyard perfect for the private outdoor living and dining. 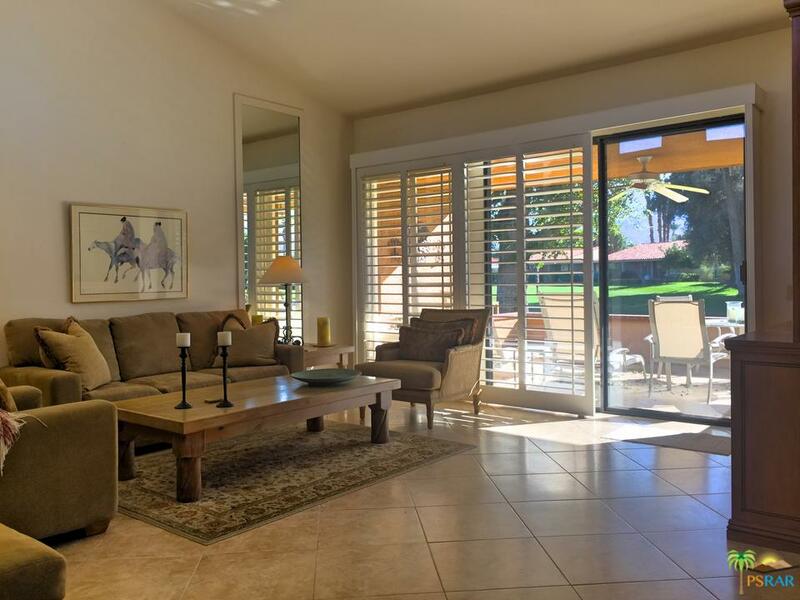 The large living/dining area expands your view to the back patio and beyond to stunning mountain views. 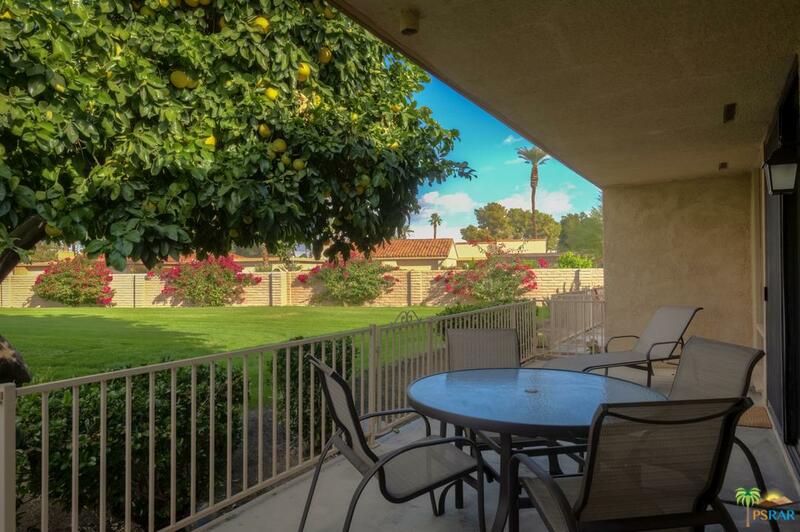 This 2bd/2bath condo is just steps to a pool. 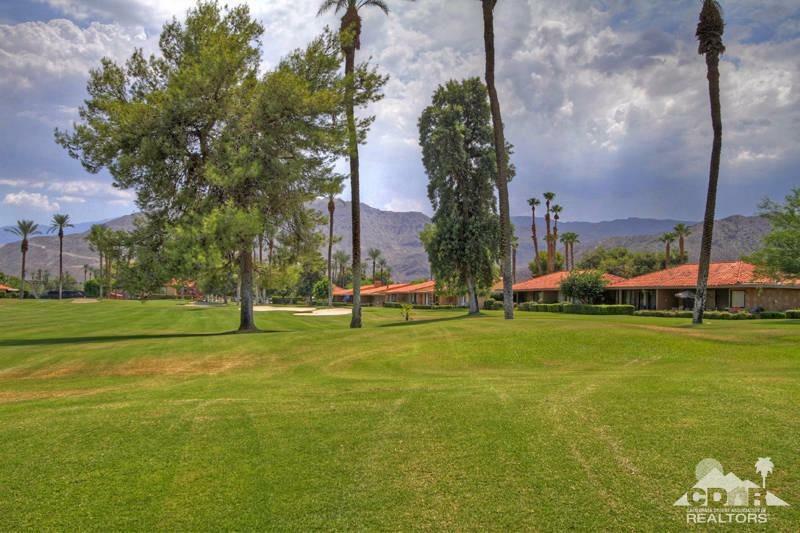 Sunrise CC is a privately owned gated community featuring Golf, Tennis, a Fitness Center, Dining Room and Grill. 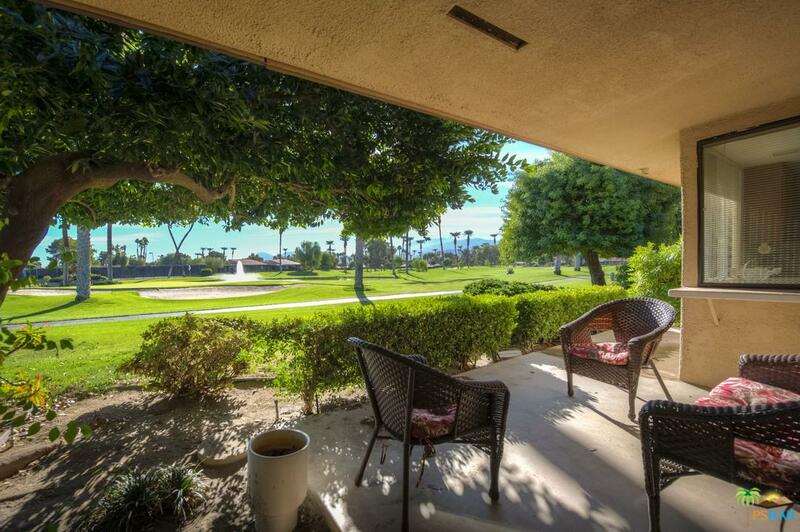 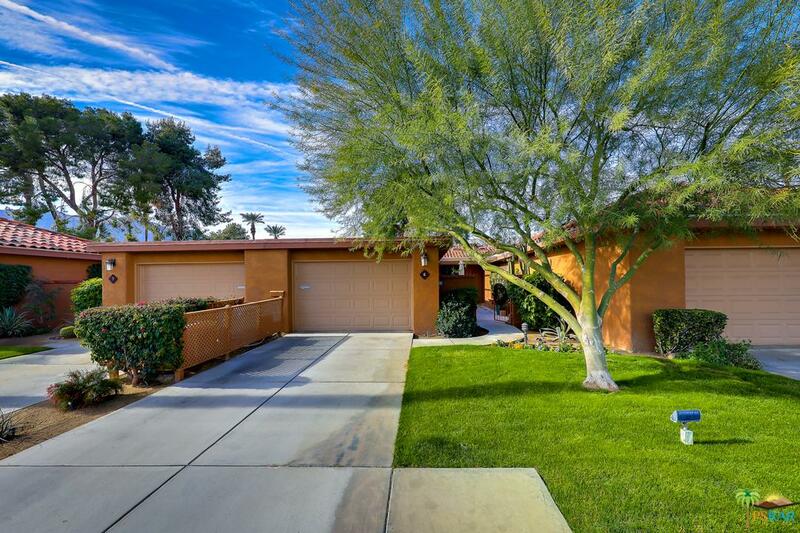 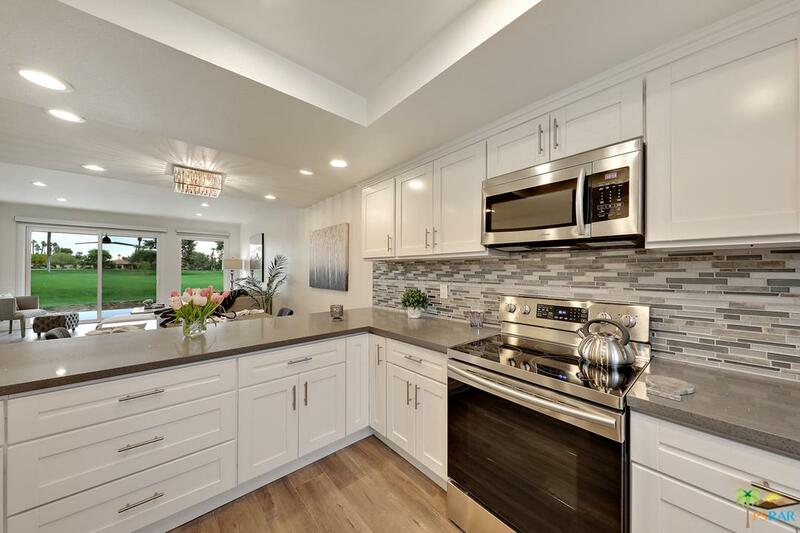 Situated in the heart of Rancho Mirage. 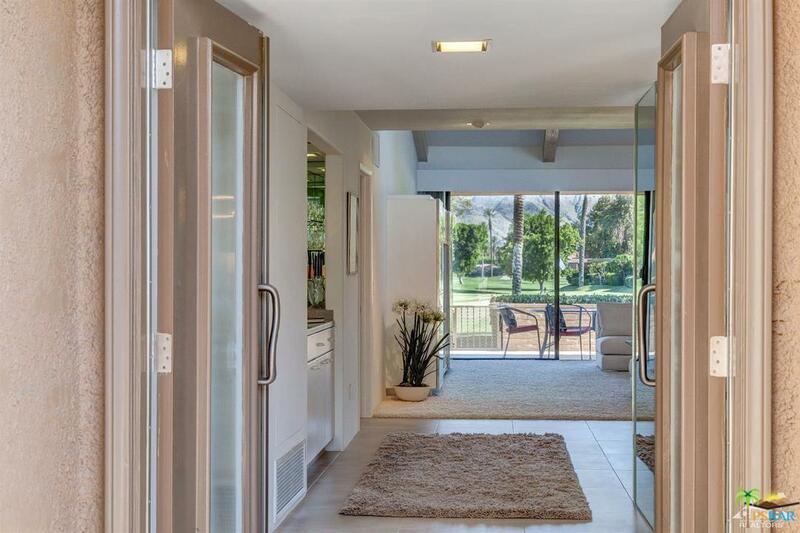 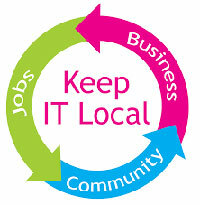 Minutes from major shopping, entertainment, and health facilities. 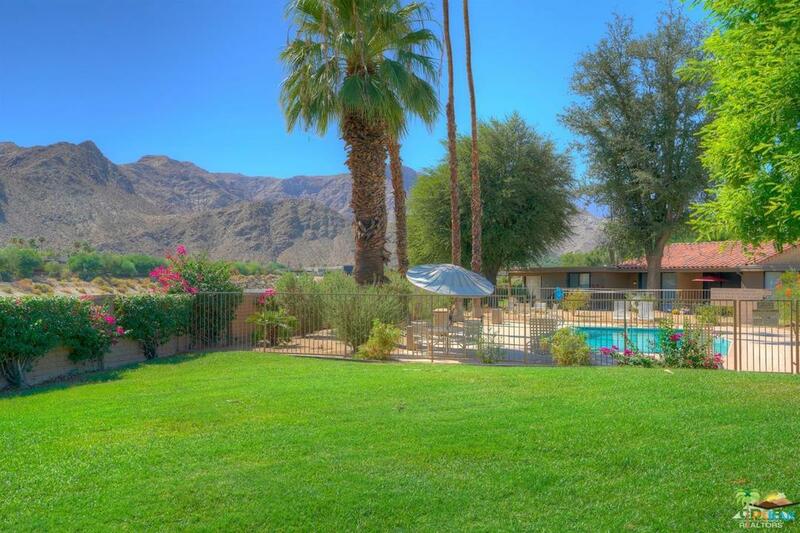 Palm Springs International Airport is only 15 minutes away.